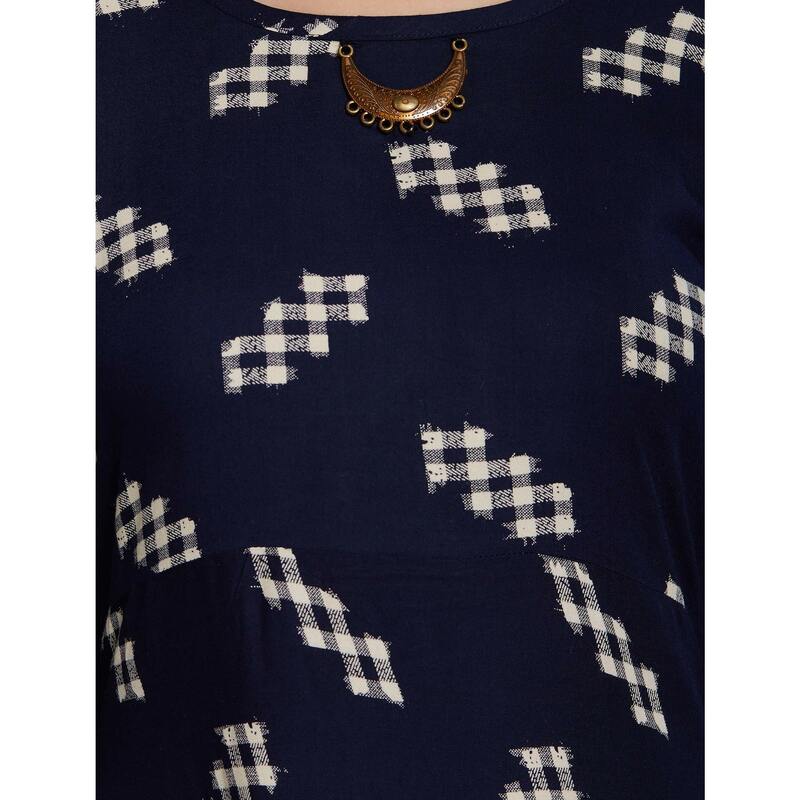 Make an adorable statement with this groovy navy blue colored kurti. 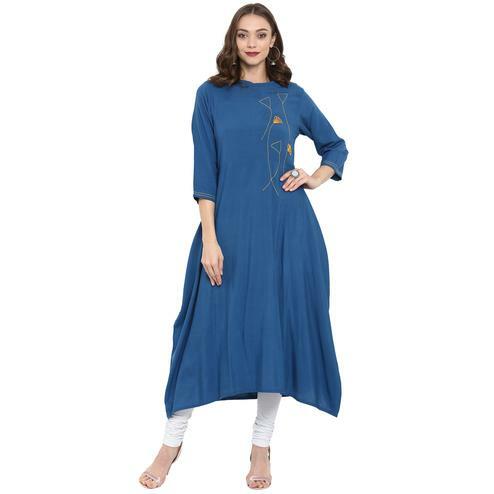 This long kurti is made of rayon fabric which is lightweight and assures the wearer a perfect fit & comfort. This stitched kurti is stylized with beautiful prints along with uneven hemline and round neck which highlights the attire. Perfect to pick for casual wear, office wear, weekend get-together, kitty parties and events. Pair it up with leggings jeans to create a contrasting effect, along with heels & stylish accessories. This attractive kurti will surely fetch you compliments for your rich sense of style.